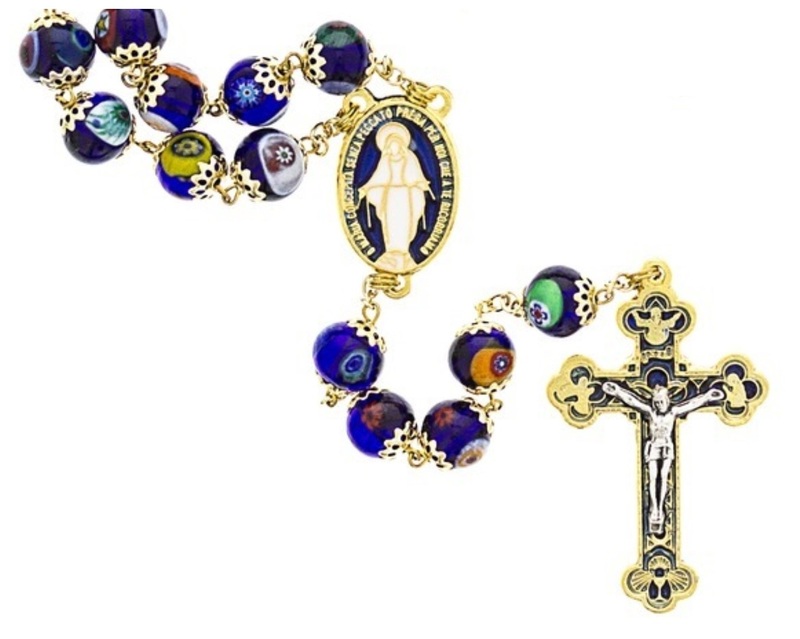 Imported from Italy, this beautiful, ornate rosary is made from decorated Venetian Murano glass. Each bead is 8mm and double-capped. Full rosary length is 21.5 inches. The crucifix and Miraculous Medal centerpiece features enamel in-lay. Velvet gift box included.